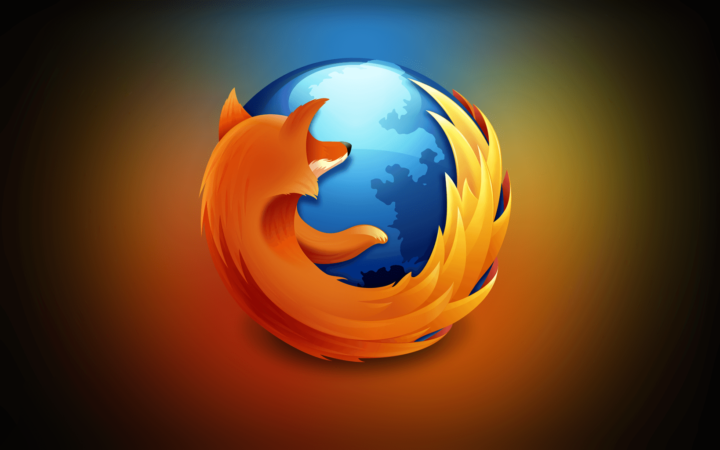 Firefox is one of the best browsers for Windows. However, that doesn’t mean the software runs perfectly. Firefox occasionally crashes and closes unexpectedly. When the software crashes, a Mozilla Crash Reporter window opens stating, “Firefox had a problem and crashed.” Then you’ll need to press the Restart Firefox button on that window to reopen the browser. Various things can trigger a Firefox crash. A Firefox crash can be due to an outdated plug-in, faulty add-on, malware, hardware acceleration, outdated software and more besides. 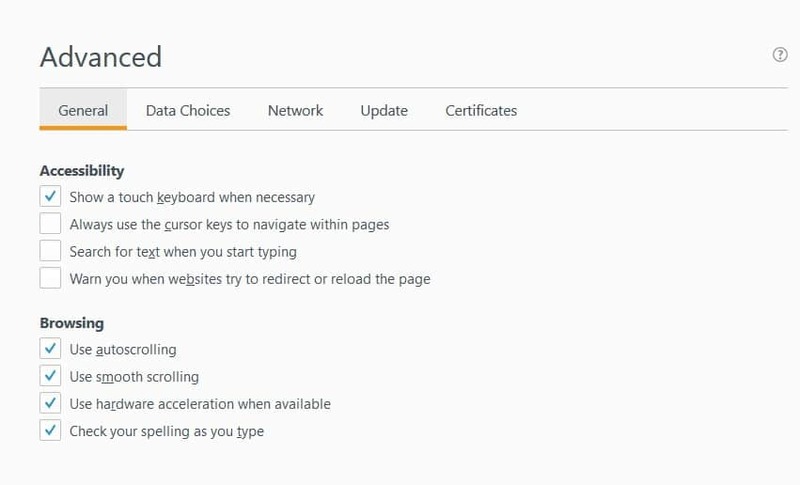 These are a few potential fixes for a Firefox browser that’s crashing with regularity. Mozilla usually irons out a few bugs in every Firefox version. As such, make sure you’re running the latest Firefox release. You can update the browser as follows. Press the Open menu button at the top right of the browser. Click the Open Help Menu (question mark) button, and select About Firefox to open the window below. 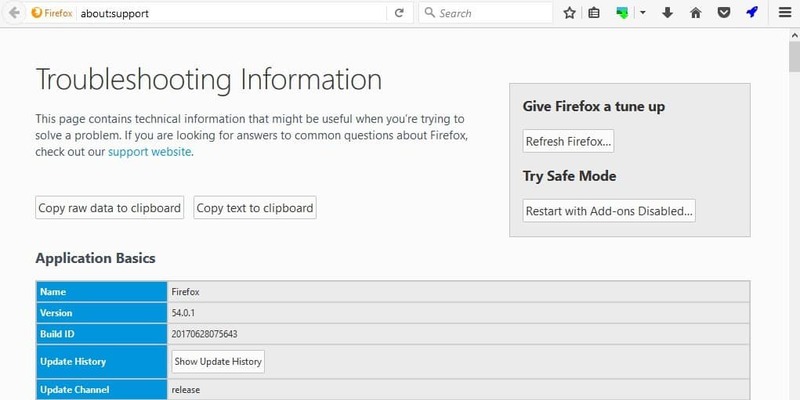 The About Mozilla Firefox window checks for and downloads updates. Press the Restart Firefox to Update button when the updates are ready. You should also update Windows to ensure that software runs more smoothly. Windows updates provide security updates and can also fix software bugs. This is how you can check for updates in Windows 10. Press the Cortana button on the taskbar, and then you can enter ‘Windows Update’ in the search box. Select Check for Updates to open the window shown directly below. Press the Check for updates button. Windows will tell you if updates are available. Windows will then automatically download and install available updates. Flash is the only plug-in Firefox really supports these days. 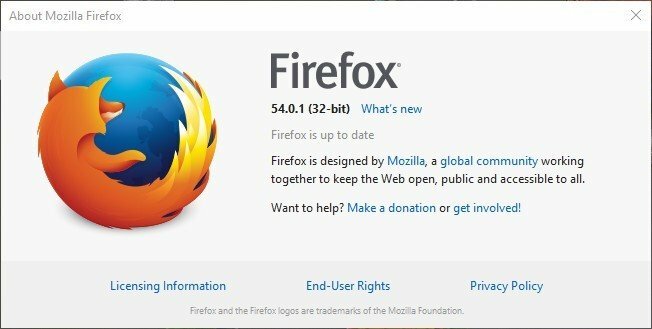 Browser developers have abandoned plug-ins precisely because of their vulnerabilities, and an antiquated Flash plug-in can also freeze or crash Firefox in some way. 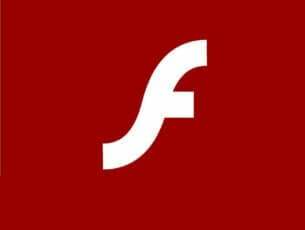 As such, updating Flash, if it needs updating, will also ensure Firefox runs more smoothly. You can update Flash as follows. First, open this page to check if Firefox’s Flash plug-in is outdated. The page will tell you if you need to update the plug-in. You can update the Flash plug-in at this website page. First, deselect the optional offer check boxes on that page if you don’t need the extra software. Press Install now to save the latest Flash installer to Windows. Close Firefox and open the folder that includes the Flash installer. Then you can open the installer to update Flash. Press the Open menu button at the top right of Firefox’s window. Click the Open Help Menu question mark button, and select the Restart with Add-ons Disabled option from the menu. A Restart with Add-ons Disabled window will then open. Press the Restart button to confirm. A Firefox Safe Mode dialog window opens, which includes a Start in Safe Mode button. Press that button to launch the browser in Safe Mode. If Firefox doesn’t crash in Safe Mode, then an add-on is probably crashing the browser. You could just continue browsing in Safe Mode with all the add-ons off. However, you can also switch the add-ons off manually. Switch all the extensions off, and then enable each of them again one at a time to discover the add-on that’s crashing browser. To switch Firefox’s add-ons off, click Open menu > Add-ons to open the tab below. Press the Add-ons’ Disable buttons to switch them off. Then press the Enable buttons to reactivate the extensions. Restart Firefox after switching each add-on back on. When you discover the faulty add-on that’s crashing the browser, press its Remove button on the Add-ons Manager tab. Firefox’s hardware acceleration makes the most of your desktop’s or laptop’s graphics card to render objects on web pages. However, hardware acceleration doesn’t always work so well with some graphics cards and drivers and can also crash Firefox. So switching hardware acceleration off can be an effective fix for Firefox crashes. Click the Open menu button and select Options to open the tab below. Click Advanced on the left of Firefox’s window. Now you can select the General tab to open the settings directly below. The tab includes a Use hardware acceleration when available option. Deselect that setting to switch hardware acceleration off. Then restart the Firefox browser. Updating an outmoded graphics card driver can also fix Firefox hardware acceleration crashes. 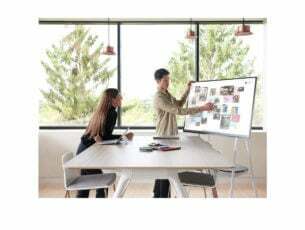 You can update drivers with third-party software, Windows tools or by downloading them from manufacturer websites yourself. This is how you can update drivers with the Device Manager in Windows 10 or 8. Press the Win key + X hotkey to open the Win X menu. Select Device Manager from that menu. Click Display adapters in Device Manager, and then you can right-click the graphics card listed there to open the context menu. Select the Update Driver Software option to open the window shown directly below. 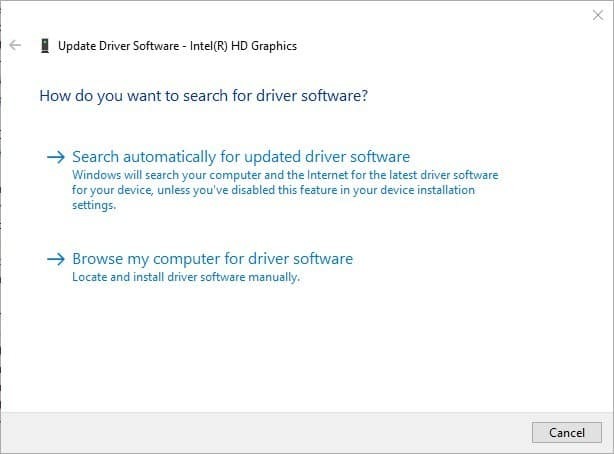 Select the Search automatically for updated driver software option to scan for driver updates. Windows will automatically install available graphics card driver updates. Restart the OS if Windows does install a driver update. You should also clear Firefox’s cache, cookie and page history every few months. 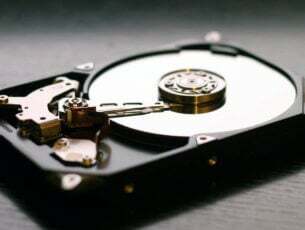 The accumulation of cache, cookie and page history files piling up will at least slow down the browser; and can also cause it to hang or freeze. For example, the page history can interfere with Firefox’s startup. As such, Firefox will run more smoothly if you clear its cache, cookies and page history with some regularity. This is how you can do that with the freeware CCleaner. You can save CCleaner’s installer to your hard drive from this website page. 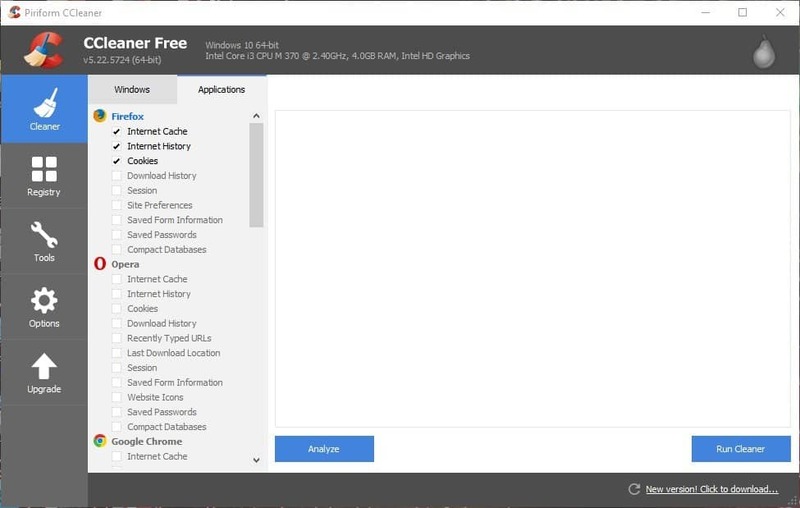 Run through the setup wizard to add CCleaner to Windows. Open CCleaner and then click Cleaner on the left of its window. Click Applications and then select Firefox’s Internet Cache, Internet History and Cookies check boxes. 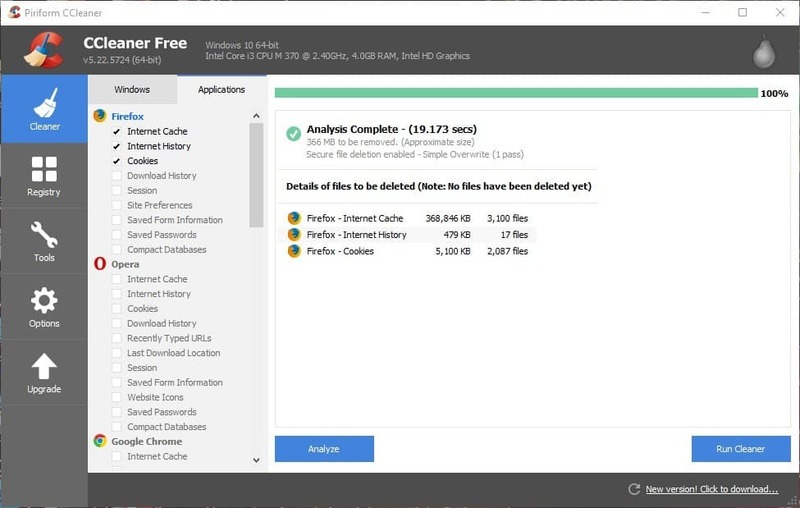 Press the Analyze button to run a preliminary scan that will show you how many files CCleaner will erase. Click the Run Cleaner button and press OK to clear the cache, page history and cookies. Malware crashes most types of software. Firefox will probably crash more often if there’s malware on the desktop or laptop. As such, scanning for and purging malware with anti-virus software can also fix Firefox browsers that are crashing. It’s better to do that with multiple utilities that detect different types of malware. 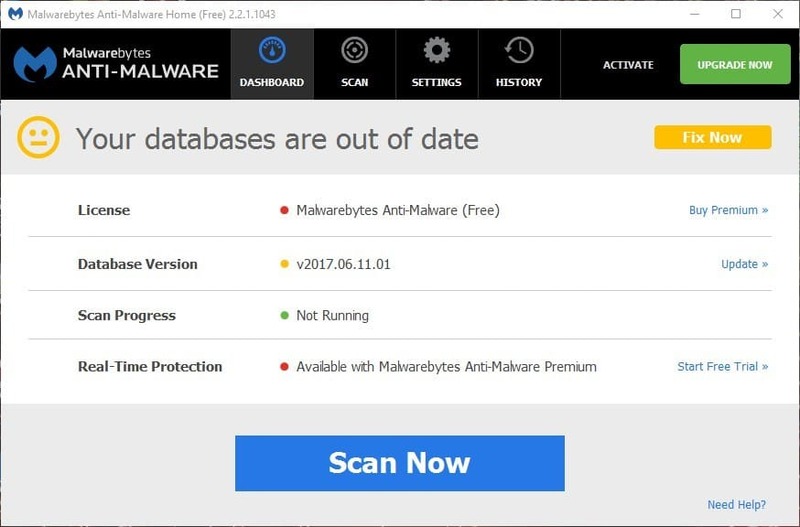 Malwarebytes’ Anti-Malware is one utility program that you can purge malware with. Click Download on this page to add the freeware version to Windows. Then you can press the Scan Now button on the software’s window to remove malware. Press the Fix Now button to update Malwarebytes when required. Resetting Firefox is another good way to fix crashes. Refreshing the browser restores it to its default settings and removes extensions and themes that can crash Firefox. However, you will retain your bookmarks and cookies after resetting the browser. 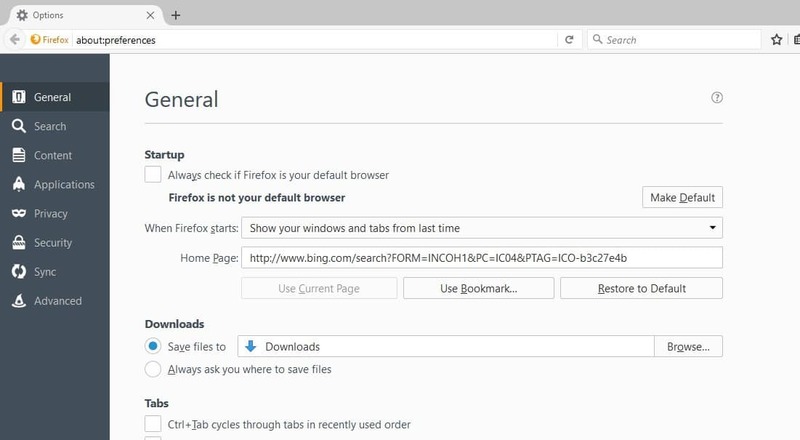 This is how you can reset the browser with the Refresh Firefox option. Press the Open menu and Open Help Menu buttons in Firefox. Then you can select Troubleshooting Information to open the page tab directly below. Click Refresh Firefox in the window that opens to confirm the selected option. Firefox then closes and reverts to its default configuration. Thereafter, a window opens that includes a Finish button, which you can press to reopen the browser. Those fixes will ensure Firefox crashes less often at least. If you fill out the Mozilla Crash Reporter, you can also get some feedback for fixing the crash from Mozilla staff. The great news is that the version 54 update has ensured Firefox is now more crash resilient. For further details about the 54 update, check out this Windows Report post.